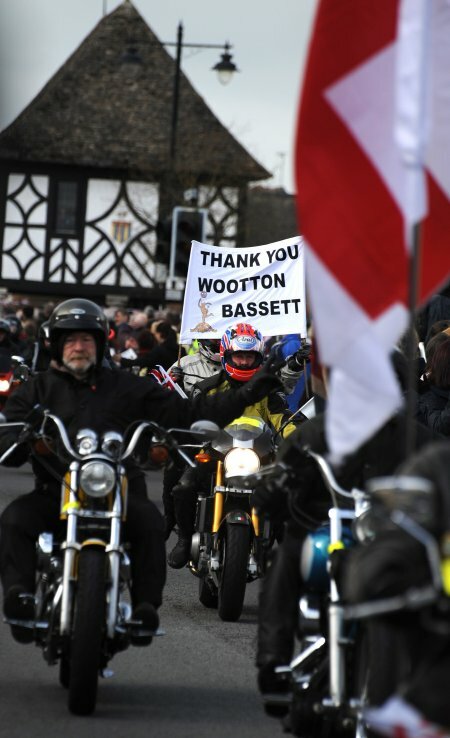 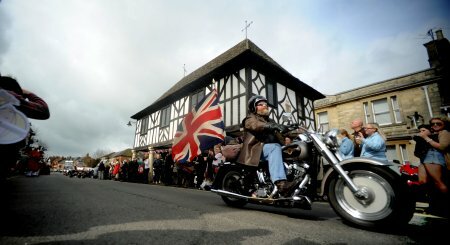 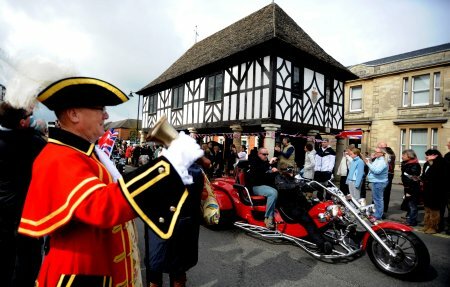 10,000 bikers rode through Wootton Bassett yesterday to show their appreciation to all the soldiers that have fallen in Afghanistan. 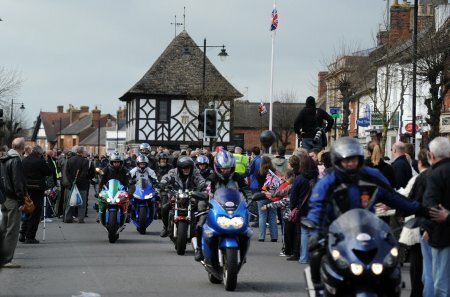 Bikers set off in waves of 500 from nearby Hullavington airfield as part of a Mother's Day parade that was greeted by hundreds of onlookers. 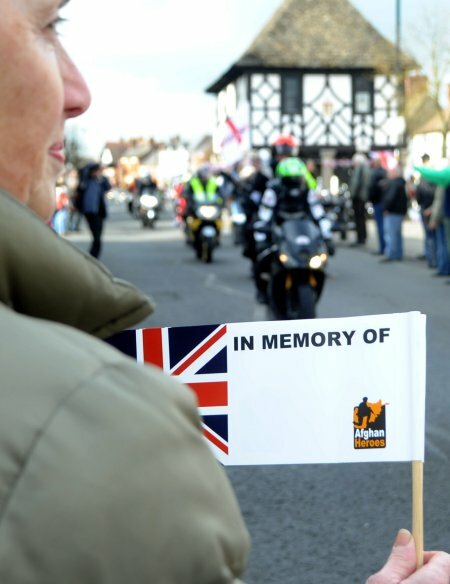 Each rider donated £10 to the charity Afghan Heroes to take part in the event.